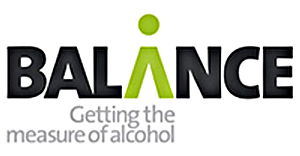 Balance, the alcohol centred NGO for the North-East of England, is one of the many parties calling for a ban on alcohol sports sponsorship. To drive this message home on the occasion of the 2014 FIFA World Cup of football, Balance has launched its new campaign ‘alcohol sponsorship: let’s kick it out’, which includes their own sponsorship of youth football teams in order to prevent alcohol branded sponsorship. The under-nines at Darlington Spraire Lads and Lasses, as well as the under-elevens of Wallsend Boys Club, the Wearside youth team, the Tyneside youth team and the under-fifteen team of Farringdon Detached FC are now proudly wearing jerseys emblazoned with the Balance logo.